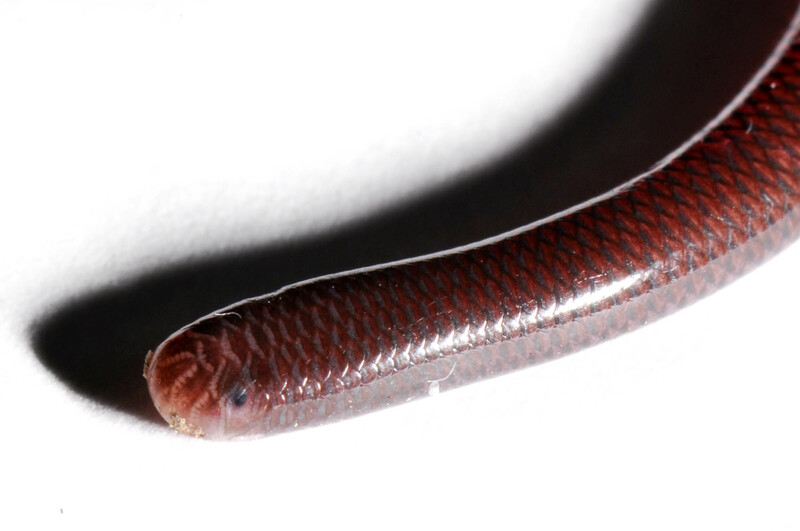 A scale covers the blind snake’s eye. The one snake that is definitely living on St. Martin is odd, but it’s not surprising to find it here. 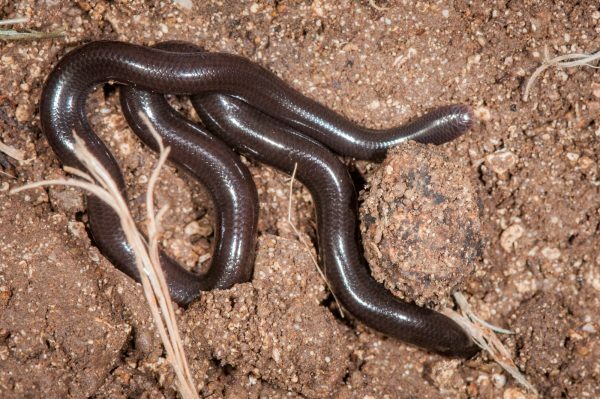 It is known by many names: Brahminy Blind Snake because it is though to come from India, Flowerpot Blind Snake because it often travels in potted plants, and Island Blind Snake because it has been so successful in colonizing islands. As you may have guessed, this snake is blind. It has eyes, but they are feeble and covered in scales. They can sense light and dark, but probably not much more than that. This is not a problem for them because they live underground, eating ants in all their life stages: eggs, larvae, pupae and adults. If you’ve never seen one, that’s probably because they’re rarely out and about. They’re also very small—just a few inches long and thinner than a chopstick. There’s no need to fear the blind snake because their mouth is far too small to bite you. How did this strange snake get here? Probably in potted plants or trees, the same way it has hitchhiked its way around the globe. This species is also parthenogenetic. They are all female and can reproduce entirely on their own, giving birth to genetically identical offspring. This is a serious advantage when colonizing an island, and surely a big part of their success in establishing themselves around the world. 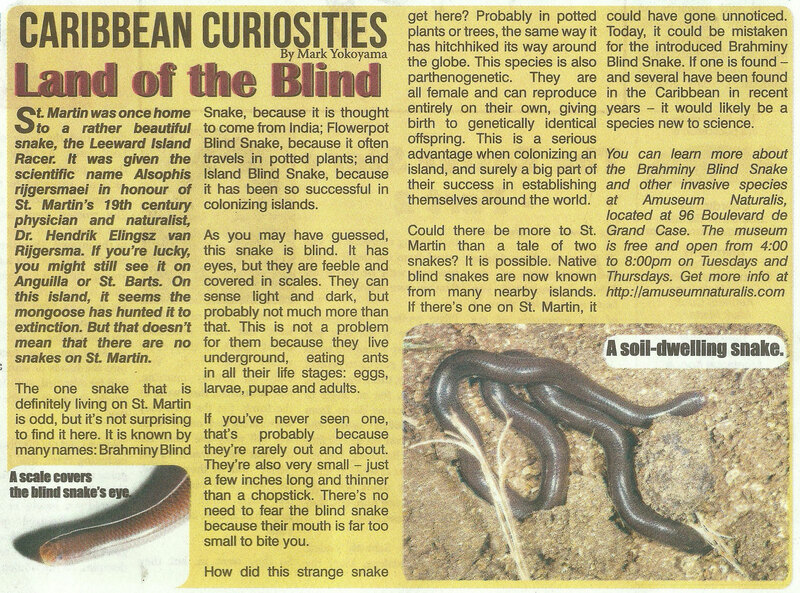 Could there be more to St. Martin than a tale of two snakes? It is possible. Native blind snakes are now known from many nearby islands. If there’s one on St. Martin, it could have gone unnoticed. Today, it could be mistaken for the introduced Brahminy Blind Snake. If one is found—and several have been found in the Caribbean in recent years—it would likely be a species new to science. You can learn more about the Brahminy Blind Snake and other invasive species at Amuseum Naturalis, located at 96 Boulevard de Grand Case. The museum is free and open 4-8pm on Tuesdays and Thursdays. Get more info at http://amuseumnaturalis.com.